What a difference! Went to this pub year's ago and it was like something from Deliverance. Went here recently after hearing it recommended by a Nant Peris resident and was very pleased. Had a similar experience as another reviewer in that we arrived in the very early hours of Elidir Fawr and the landlord chatted with us to keep us awake as we waited for a taxi. Nice beer, good battered fish and chips and very polite and courteous service and everywhere very clean. We will be back. The best pub AND the most wonderful landlord and landlady! 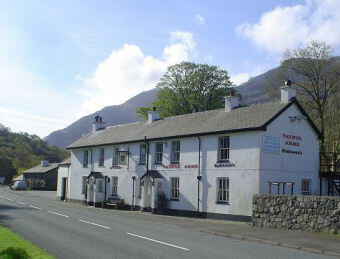 called into this pub 3 years ago and the reception was a bit cold,went up for the weekend just gone and found the pub had changed hands,welcome was absolutely fantastic, barstaff out of this world,would recomend to anyone going and staying in nant peris for the weekend , the whole atmosphere of the pub as taken a turn for the best. AMazing food and good service.....Nuff said.